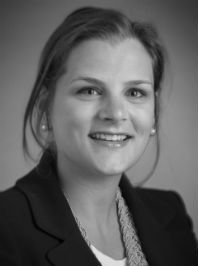 Arienne focuses her practice solely on medical malpractice defense work and comes from a family devoted to healthcare. Since completing law school in 2009, she has helped defend physicians at the trial level in the fields of pulmonology, emergency medicine, anesthesiology, and internal medicine. Arienne has also defended numerous other hospitals and health care providers in the various stages of litigation. Prior to joining Batten Lee, Arienne worked for another health care defense firm in Raleigh where she gained trial experience. Arienne graduated with honors from the University of Pittsburgh in 2006 with a degree in English Literature. She went on to Albany Law School, graduating in 2009, where she served as Executive Editor of the Albany Law Journal of Science and Technology, and as a teaching assistant for first year Torts, Criminal Law, and Evidence classes. During law school, Arienne served as a summer associate at Seyfarth Shaw in New York, NY, where she focused on the defense of large employers in employment litigation.